SOC or System on chip is a really important component of a phone. It has many other small components like processing chip, ISP, memory, RAM and many more. So basically it is in the form of a small chip with all other components embedded on it. These SOCs are built on some architecture. This architecture basically means the transistor size. Each year the size of transistor is getting smaller like 20nm to 16nm, 16nm to 14nm and so on. With transistor size getting smaller the performance and battery consumption of chipset improves as electrons consumes less time and power to move in a smaller transistor. Now in the market we have chipsets like Qualcomm snapdragon 845 or Hisilicon Kirin 970 which are built on 10nm architecture. But now it's time for the successor to Hisilicon Kirin 970 chipset that is Hisilicon Kirin 980 chip which is built on 7nm architecture. This is based on an octa core chipset with four cortex A-73 cores among which two are powerful cores and two less powerful cores for better power efficiency. Rest of the four cores are Cortex A-55 cores and these cores are less powerful than Cortex A-73 cores. Huawei also has something known as 'Flex Scheduling', which helps in powering right cores for the right tasks and thus result in better battery life. 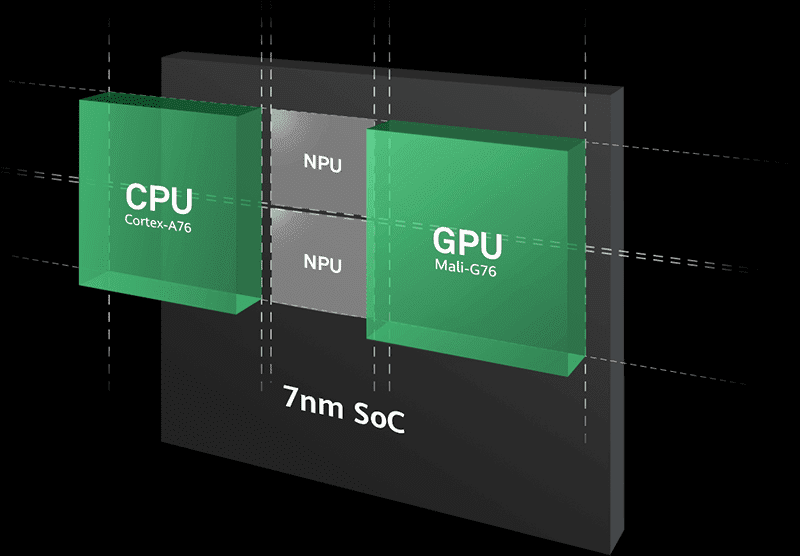 For better graphics there is Mali G76-GPU which was announced in May. This GPU will help in high graphic intensive tasks and will also result in better gaming experience. This can also take advantage of clock-boosting technology which results in better performance when there is some high graphic intensive task is going on. This GPU is far better than it's predecessor that is Mali-G72. 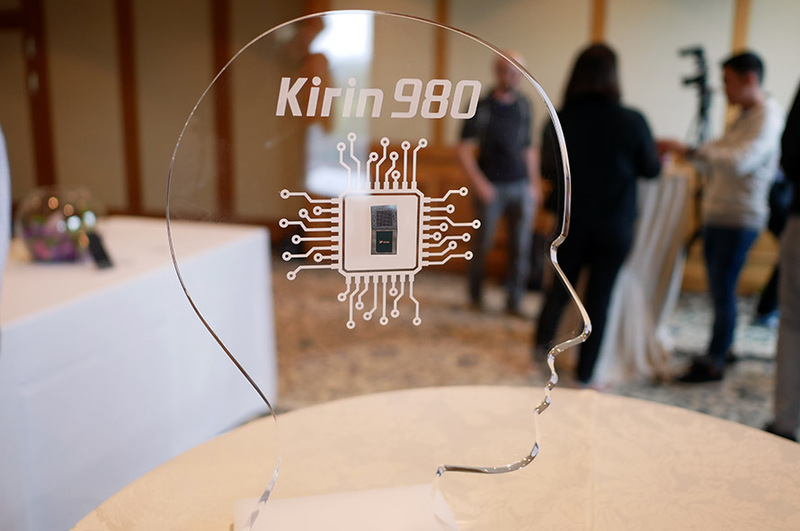 Hisilicon Kirin 980 chipset is the first to support LPDDR4X memory. It also supports 1.4Gbps Cat 21 LTE modem and fast WiFi speeds. This is the first chip to come with dual NPU technology which means it has two NPU chips instead of just one in the previous version. This NPU results in better AI functions in the phone. It will make the phone more intelligent and thus results in better accuracy in AI tasks. It also improve the speed of AI tasks. There is one more thing worth mentioning in Kirin 980 and that is it's good camera performance which is possible due to all new ISP. This is the fourth generation of Huawei's ISP. And it's really good due to features like multi camera support, HDR color reproduction, multi pass noise reduction, more data throughput and many more. Now you must be thinking how does it perform against the blazing fast Qualcomm chip that is Snapdragon 845.This can't be answered right now. Huawei is claiming that it will be 20% faster than 10nm chips. But nobody has trust on claims, real picture will come out only when phone having Kirin 980 will be launched. First of the phones which will have Kirin 980 chip are Huawei Mate 20 and Mate 20 pro which will be launched in October. So the performance of the chips can be tested then only. But the performance of the chip is expected to be really good as Kirin 970 is also one of the fastest chips in the market.